Our customers have spoken! We are thrilled to be named 2018 Customers' Choice for Web Application Firewall on Gartner Peer Insights. Our team is here for you. Contact Us Today! Our team is ready to answer all your questions and help secure your website. Sucuri also provides incident response and security monitoring for your website. Learn more about our Full Security Platform. Powerful defense built on our global network. Mitigates DDoS attacks, traffic spikes, and alerts you to any downtime. 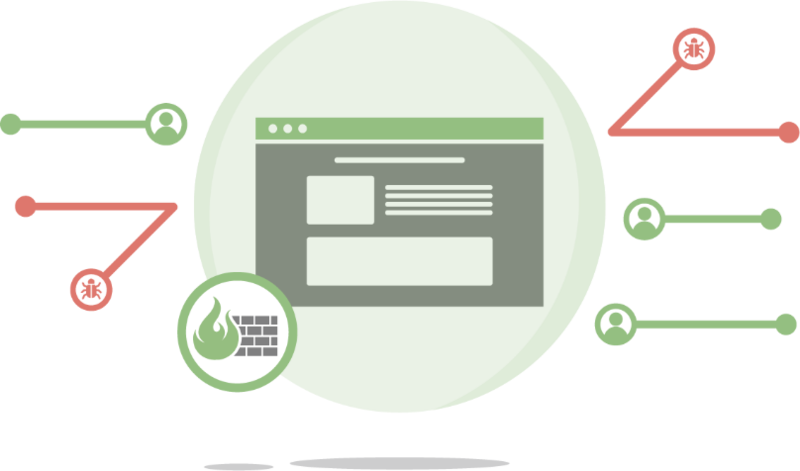 We virtually patch vulnerabilities and block threats with our web application firewall. Sucuri is the greatest! Specifically, the website firewall is incredibly useful. My client mainly uses it to block international traffic. As a domestic business, they don’t need or want international visitors, and this also helps any spam/bot traffic originating from foreign IPs. The setup is pretty easy – a little more difficult if you have multiple domains and hosts. Sucuri did most of the legwork on it. It’s also a nice solution for a quick cache, if your build or CMS doesn’t allow for that. The Sucuri team is super responsive and helpful. Cannot say enough good things about them. Our company has long been concerned about the security of our site. We tried many different programs and tried to find the most reliable solution. The issue of site security is very serious and priority. We decided to try Sucuri and were very pleased with the result. This is a powerful service that monitors the site from the server side and monitors the appearance of any malicious code, changes in files, changes in content, and tells you if something is discovered. Whenever I require tech support, Sucuri always provides excellent support! Many times they go even beyond what I initially requested, to provide complete support on the technical issue involved. Even when tech support isn’t required, I am very pleased with the website security that Sucuri provides.